EAGLE PASS, Texas - A large migrant caravan has arrived at Piedras Negras, right across from Eagle Pass. We are beginning to get more information on the people who arrived at Piedras Negras, Coahuila, Mexico Monday. We are told all of them arrived on about 55 buses, sent from Saltillo, Mexico. 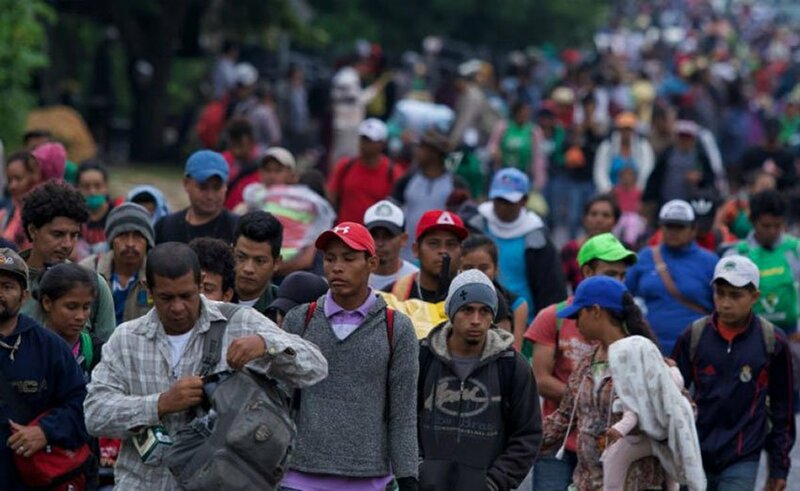 They are reportedly a part of a caravan with 1,500-2,000 people. It's difficult to get an exact number, as we're told by the acting chief of border patrol. The border has been reinforced, there were all kinds of exercises this weekend. Bridges were closed, helicopters were up and a lot of boats were out on the rivers, so we didn't see any scenes like what happened out in California. Border Patrol agents and CBP officers are training to make sure their skills are capable, our technology is ready for whatever eventuality we have to deal with along the border.